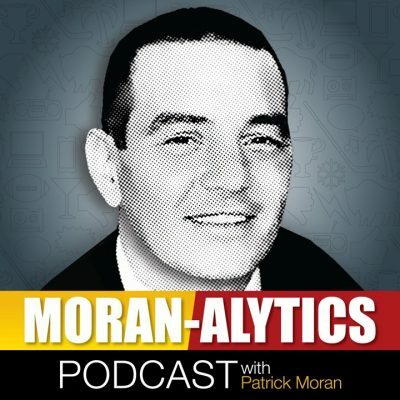 On this episode of the Moran-Alytics Podcast, Patrick Moran welcomes former center, captain and one of the most popular players of this or any era of Buffalo Bills football, Eric Wood in one of the longest interviews the former Pro Bowl center has ever done. Wood reveals in more detail than ever before exactly how the process played out from the end of the 2017 season to the point where he was forced to retire because of a culmination of neck injuries. Wood describes feeling blindsided by the MRI results as he physically felt great and was already beginning the mental readiness for his next season, not to mention a baby with his wife on the way exactly at the time everything happened. He also talked about the aftermath and a press conference he admits should’ve been canceled in an emotional account of events Wood is still in the process of dealing with. On a much lighter note, the two retrace Wood’s (@ewood70) football roots, going all the way back to a nine-year old youth, winning two state titles while in high school and choosing to go to Louisville in large part because it was the lone D-I school to offer him a scholarship. Wood also discusses the NFL draft process in 2009, going to Buffalo, his Bills career and what it meant to not only become a captain and leader of the team but also the importance of being on the team that finally ended a 17-year playoff drought. They wrap the interview with Wood providing insight on the 2018 Bills including thoughts on Josh Allen, Nate Peterman and the offensive line. Oh, they also talk about chicken wings because of course they do. Immediately after that Joe from BuffaloWins (@buffalowins) pops on for a “Run-in With Joe” segment, where they discuss Joe’s selfie with Ronda Rousey, WWE Summerslam action and some Bills takes on a handful of players at the midway point of the preseason.